Going ahead of God is dangerous. When we go ahead of God we risk losing the calling that He has placed upon our lives. The perfect will of God is for us to always move forward, but when we disobey God we set ourselves backwards, we delay our own progress. It is important that we obey God, and we obey God by choosing to follow His leading. Yes we choose because He has given us free will. When we continue to disobey God with an unrepentant heart, He will reject us. God instructed Samuel the prophet to anoint Saul as King, and he did. Saul failed to see his disobedience to God, he failed to understand that by not following God’s leading he disobeyed God. Some might argue that Saul had good intentions after all he was going to offer sacrifices to The Lord, he was going to honour The Lord, yet he failed to realise that he had already dishonoured Him, by disregarding His leading. Saul followed God’s leading partially, he believed that he could obey God and do his own thing at the same time, but we all know that we cannot serve both man and God at the same time. We either choose to obey Him totally or we do not at all. Following His leading has strongly been in my heart for this season. I believe many believers including myself have missed many opportunities simply because we felt that our way was better than God’s, or because we felt we could be like Saul and do things our own way and then follow God’s ways at the same time, but this is possible. This is basically saying that we do not trust God completely. God is looking for hearts that will serve Him in Spirit and in Truth, he is looking for those that will serve Him wholeheartedly. Now it’s easy to understand why God describes David as a man after His own heart, and why He stripped the title off Saul as king, and transferred the title to David as king instead. God elevates those who put their trust in Him, by seeking Him first, His leading first, His direction first, before anything else. It is important that we adopt this attitude as sons and daughters of God. Moses was considered to be a friend of God because of his continuous fellowship with God. When we develop a habit of having continuos fellowship with God we will encounter His presence. We will understand that we cannot do without His presence. will not go unless His presence goes with me. I don’t want to make any decision unless He first gives me the go ahead. I will not rush into anything without acknowledging my Father first. Isn’t that why He says in all your ways acknowledge Me first. This is not extreme this is necessary for every believer if we want to be on the right path, His path. I do not want to serve The Lord in vain. I do not want to serve Him and then one day discover that He does not know me. I want The Lord to call me friend, I can take rejection from man, but from God, no! I live to serve Him, I live to worship Him, and because of this I choose to follow His leading. We must learn to wait on Him and adhere to His instructions. Wait on Him in the wilderness. Wait on Him in the secret place. Wait on Him in our worship. In every situation Wait On Him. Perhaps the Amaleks in your life are the distractions. Distractions are what draws us away from God. Our God is a jealous God, he desires to have all of our heart. We need to let go of the Amaleks, they must die in our lives so that He can live in us, and lead us. Do not keep the Amaleks in your life, destroy them, and go with God. 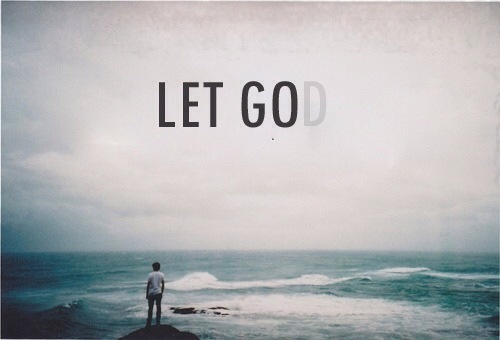 For you will go ahead of him if you have not let go of the flesh. Destroy the Amaleks, and let His Spirit love within you and go with God. When we go with His presence He will give us rest, we need not worry for the King of kings is leading us, and He will show forth His glory. If you really desire to hear His voice, then it is very important that you seek Him first, and wait on His leading. I don’t want to go unless His presence goes with me. For wherever He leads us to, He always leads us to truth, He always leads us to His perfect predestined will. He is preparing you, He is nurturing you, He is maturing you, so learn to wait, learn to wait on Him, and trust His leading.